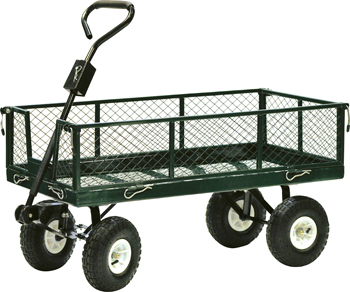 The Precision Steel Drop Side Garden Cart is perfect any yard or landscaping project. The rust resistant, powder coated heavy-gauge steel bed holds up to 600 lb. The mesh sides are great for a wide variety of applications; they can be removed, locked in place or folded down for easy storage.